I haven’t seen a cool music visualizer since Milkdrop landed all those years ago, but today Google’s dropped a surprise HTML5 visualizer for its music service. If you’re a Google Play Music user, you’re able to get the new smokey visualizer by throwing on a song, then hovering over the album art and selecting ‘particles.’ The visualizer is pretty hypnotizing; good luck getting any work done once you’ve enabled the visual extravaganza. 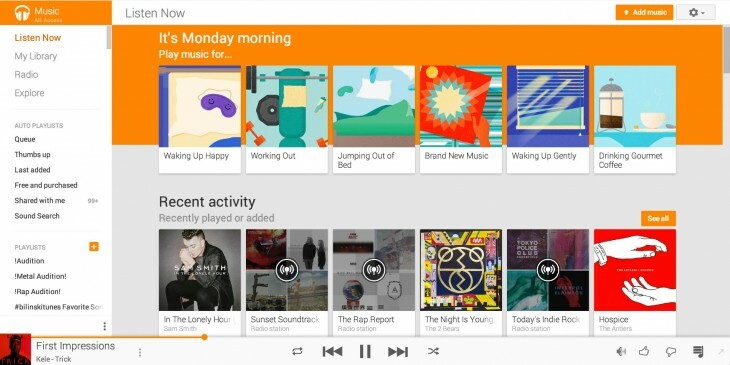 Google’s Music service has been around since 2011 and the company announced a companion YouTube music streaming service earlier this week.